Toyota vehicles are known to run forever if serviced properly. Hometown Toyota offers the expert care needed to keep your vehicle running for decades. From oil changes to extensive engine repair, we do it all – and we do it well. Why choose Hometown Toyota Service? 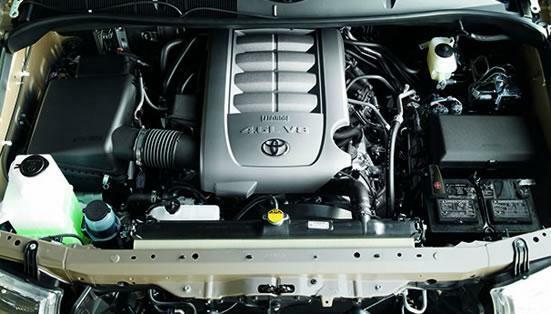 Genuine Toyota Service like the kind found at Hometown Toyota – sets the benchmark for repair and maintenance. No other shop offers the knowledge and quality of our service experts. At Hometown Toyota, our technicians are factory trained in the art of Toyota Maintenance and repair. From this education, they gain the knowledge of knowing your vehicle and all its common parts, not to mention dealership experience and industry leading technical training in the areas of new model, core and high-tech curriculum. Genuine Toyota parts are guaranteed to perform just like what came on your vehicle from the factory. Other, low-cost aftermarket parts might not function like the original unit. These components compromise the integrity of the job performed, and put your vehicle at risk. Because of this, Hometown Toyota uses only factory parts that ensure a long service life. Many shops don’t have the proper equipment to service your Toyota. As a result, they’ll either try to cobble something together, leading to an improper repair. Or they reroute you to a place that can service your vehicle properly. Avoid the hassle and get the job done right the first time, at Hometown Toyota. From hand tools to diagnostic scanners, our technicians are armed with the equipment needed to service your vehicle. Service advisors provide a direct line of communication between you and the technician. This role requires them to have exceptional automotive knowledge. Our service team has the training needed to understand Toyota products from bumper to bumper. As a result, our advisors accurately communicate to you any recommended service or repairs. And they do it with a smile. Our service experts will communicate any recommended service or repair in a friendly, laid-back manner. This approach will allow you to decide what’s right for you, your vehicle and budget. Having work done at a non-dealership location has the potential to your factory warranty. Get peace of mind by having your vehicle serviced at Hometown Toyota. Toyota owners are a loyal bunch who want their vehicles to last a long, long time. For many years, Hometown Toyota Service has helped them reach that goal. Our team provides unmatched service to keep your vehicle running at its best. Stop by today to experience the difference firsthand.